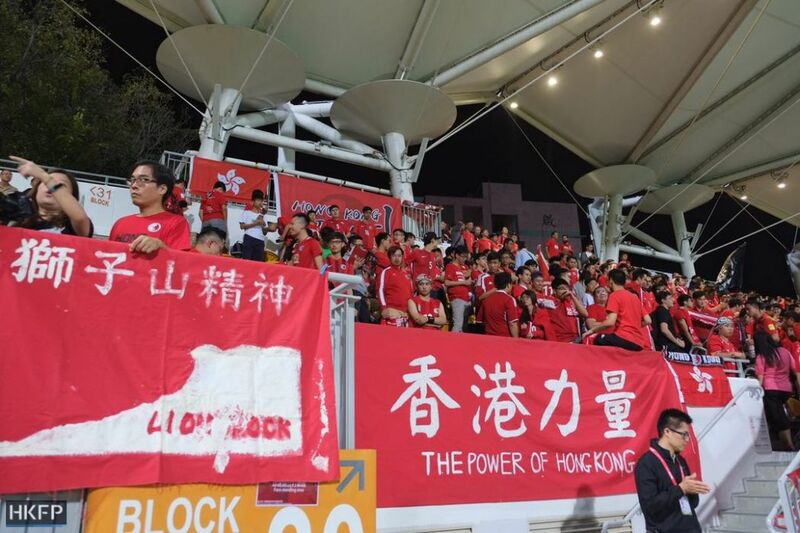 Hong Kong football fans booed the Chinese national anthem yet again at an international friendly against Bahrain on Thursday night at the Mong Kok Stadium. Jeers during the anthem have occurred repeatedly since the 2014 pro-democracy Occupy protests. 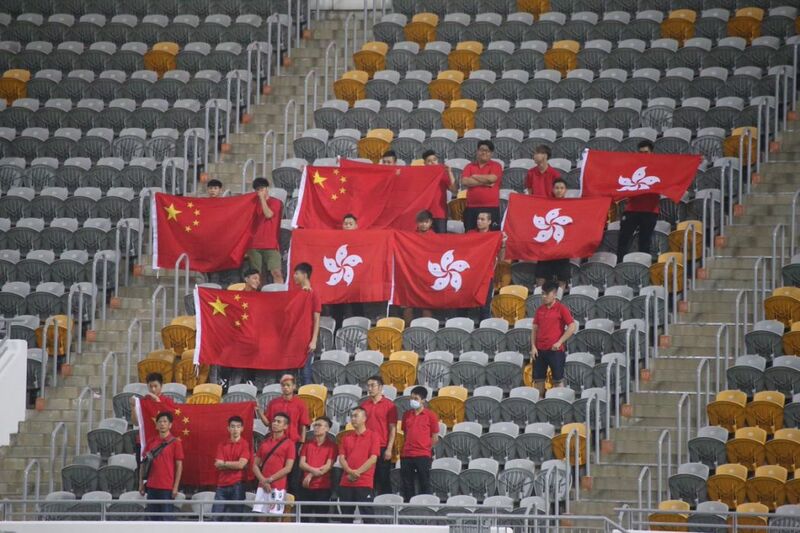 As a result, the Hong Kong Football Association (HKFA) was repeatedly fined for fans’ conduct during official matches. 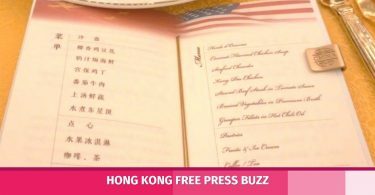 The events came as the Hong Kong government says it has begun the local legislative process for the upcoming national anthem law. The highest penalty for disrespecting March of the Volunteers in the mainland is three years in prison. Unlike at previous matches, there was a much higher presence of plain-clothed police officers at Thursday’s game. 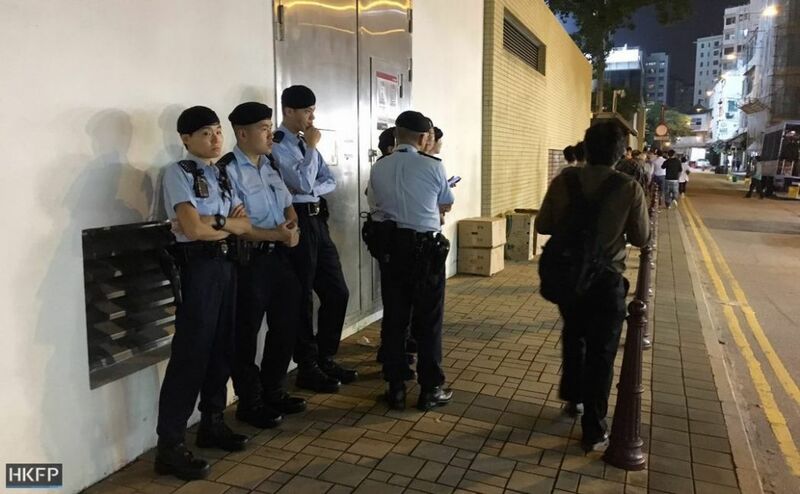 An unnamed source cited by Apple Daily said the police were concerned that people supporting the national anthem law may clash with fans, and added that some plain clothed officers will be present in the standing section. 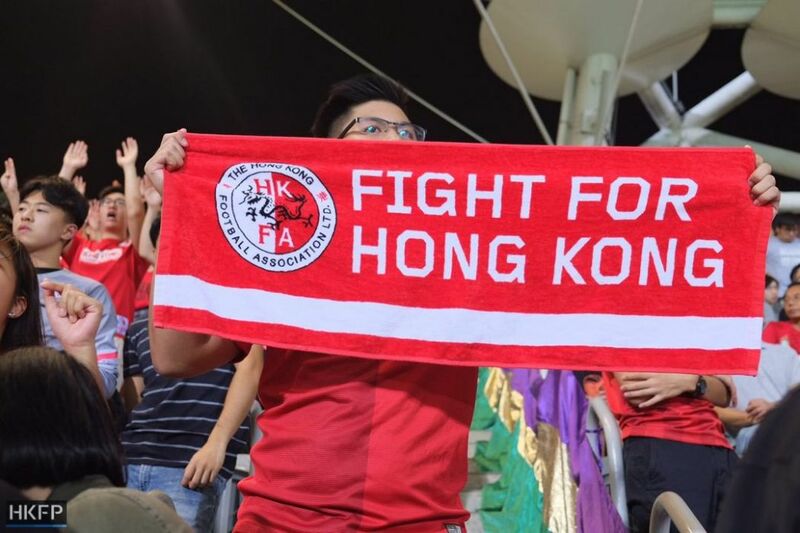 Power of Hong Kong and Hong Kong Moment – two major fan groups – were able to bring in their large-scale banners supporting the local team, after declaring them to the HKFA beforehand. Pro-democracy Neo Democrats District Councillor Roy Tam also appeared at the match to support the local team. He told HKFP that fans were covering themselves in the Hong Kong flag whilst booing in response to the upcoming national anthem law: “[China] has a move, and they came up with something smarter… [The law] only exists because the Chinese Communist Party has a fragile heart. Hong Kong has the freedom of expression. On Wednesday, Hong Kong team coach Kim Pan-gon urged the public not to force the team into politics, and said he will only focus on the matches. 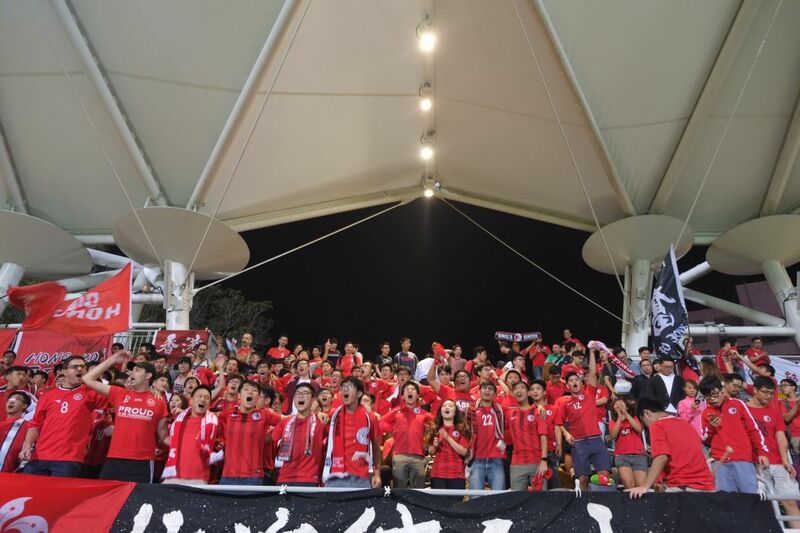 Last week, the HKFA was given a warning over fans booing the national anthem at the Asian Cup qualifying match against Malaysia on October 10 at the Hong Kong Stadium. 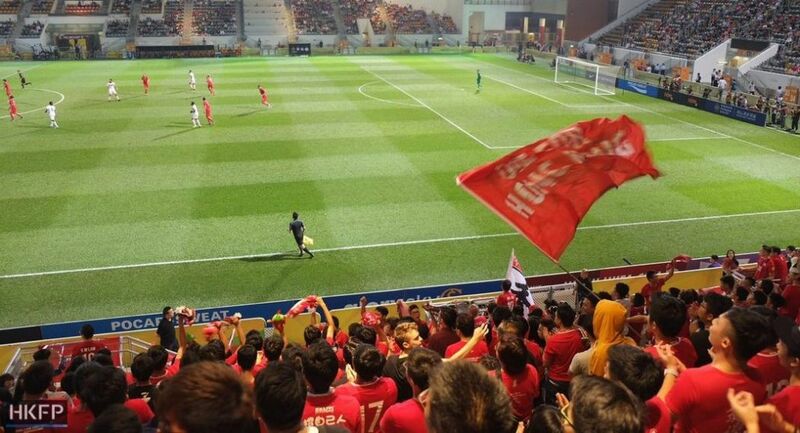 Hong Kong will face Lebanon in a Asian Cup qualifying match next Tuesday. The Asian Football Confederation’s Disciplinary and Ethics Committee had said a repeat violation may result in a more severe punishment. 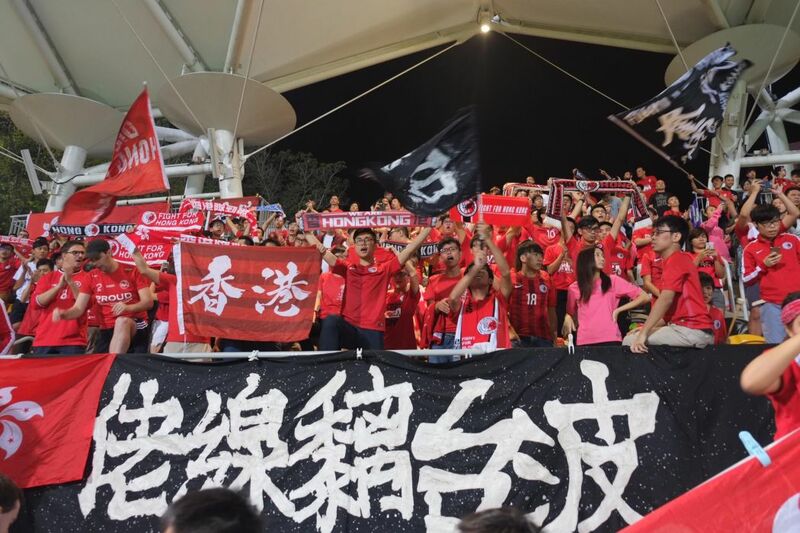 According to news site Inmedia, a group of 24 fans who sat in section 17 – far away from major Hong Kong fan groups – stood up and held both Chinese and Hong Kong flags when the anthem was played. Hong Kong lost the game 2-0. 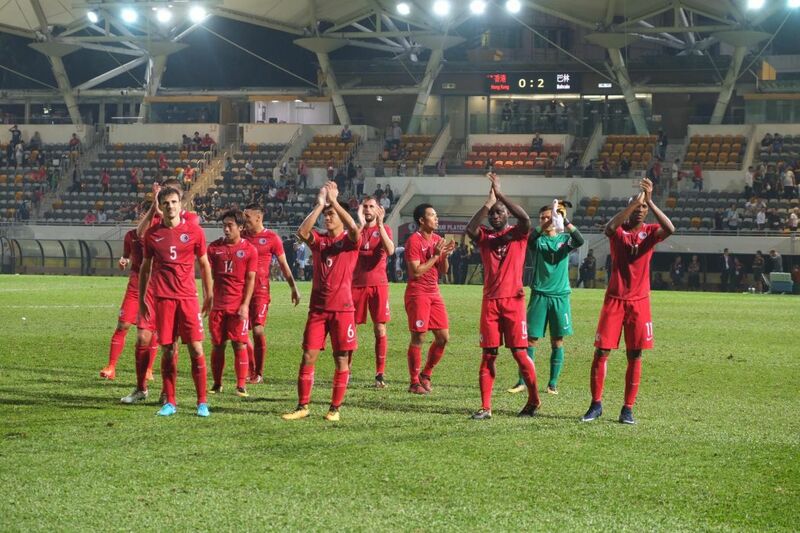 The HKFA has been fined twice by FIFA, the global football governing body, as a result of supporters apparently booing the anthem at two 2015 World Cup qualifying matches. It received fines of 5,000 and 10,000 Swiss francs respectively – a sum totalling HK$120,000. The Hong Kong football team. Photo: Kris Cheng/HKFP. 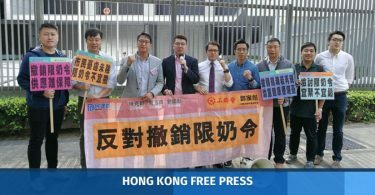 It is still under debate whether the national anthem law should have retroactive power, but law scholars and democrats have said criminal laws in Hong Kong should not be applied retrospectively.